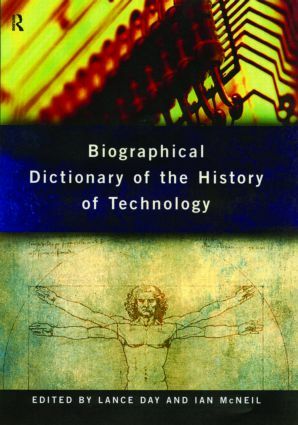 This Biographical Dictionary seeks to put the world of technology in the context of those who have made the most important contribution to it. For the first time information has been gathered on the people who have made the most significant advances in technology. From ancient times to the present day, the major inventors, discoverers and entrepreneurs from around the world are profiled, and their contribution to society explained and assessed. The Dictionary presents descriptive and analytical biographies of its subjects in alphabetical order for ease of reference. Each entry provides detailed information on the individual's life, work and relevance to their particular field. * finally an annotated bibliography will direct the reader to the subject's principal writings and publications and to the most important secondary works which the reader can consult for further information.